Calamine lotion and Caladryl are both used to treat itchy skin that may be the result of bug bites and illnesses, such as chicken pox. However, though they are both used for the same reason, there are many differences between the two that could affect which choice people make the next time that they are in need of something to stop the itch and make them feel more comfortable. Differences such as: the color, the ingredients and the use of each. Calamine lotion is defined by that pink color that many compare to cotton candy. This is something that is going to be fine for those that want to make sure that they can see where the lotion is going, especially useful on children. 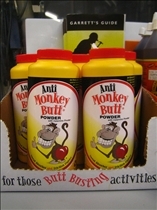 However, they are also offering a clear calamine lotion now that people are starting to look for those lotions that disappear after they are put on. Caladryl is a clear liquid that is not going to be seen once it is rubbed into the skin. This is why many people choose this lotion when they are in need. Calamine lotion is made of the two main ingredients zinc oxide and iron oxide, which help relieve the inflammation and the itching on the skin. Caladryl also features the two main ingredients: calamine lotion and pramoxine HCI. The noticeable attribute of each of these is that technically Caladryl is a type of calamine lotion since it contains the same basic ingredients. The different ingredient in Caladryl is basically provided for its numbing properties when placed on the skin, and this is another reason why many people choose Caladryl. Both of these lotions are used on the skin and rubbed in. However, they have different effects once they are used. The calamine lotion, whether the person picks the pink or clear color are going to find that they are still having the flaky and sticky feel to the skin. The skin may appear as if it is flaking and may be sticky to the touch. The Caladryl lotion is going to dry clear and not leave behind the sticky residue. The skin may feel smoother in the areas that the person uses the lotion since it is forming a protective layer. One big difference in the use is that calamine lotion is great for children, most doctors do not recommend that children use Caladryl simply due to the extra numbing ingredient. Calamine lotion can be pink or clear in color. Calamine lotion is made of zinc oxide and iron oxide. Caladryl is made of calamine lotion and pramoxine HCI. Calamine does cause the skin to become sticky when used. 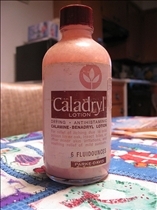 Caladryl leaves the skin smooth and clear. Calamine is safe for children, while Caladryl is not recommended for kids by most doctors due to its numbing properties. Caladryl also comes in pink. The Caladryl Clear is the clear one. Caladryl is not recommended for children because you can overdose on the antihistamine, nit because of its numbing properties. It seems to me like the Calamine lotion does better. But I just want this damn itching to go away!! I used caladryll and my left side of my neck and under ear swelled up!!! I wish they would make a form of caladryl spray, so you avoid contact. Calamine lotion Does NOT and cannot not by it's nature leave a sticky Residue. The only thing wrong with most Calamine lotions is they contain too much water. Personally I apply a think layer direct from the bottle; then thicken up a second coating by pouring the calamine onto a clean paper towel. You will see the water soak into the paper quite quickly. Wait 10 seconds or so, then apply the residue over the thin application; especially to any area's still itching. This thicker application does not flack off the way calamine or caladryl for that matter does when applied direct from the bottle. You can either pat directly from the paper towel for small area's. However if larger area's are effected or if you are concerned about spreading poison ivy, you should scrape it off the paper towel then apply. Gillette vs. Schick: Razor close!